The 4th of July (Independence Day) is a mega, gigantic deal in America. In true American fashion, my best friends and I spent the weekend being unapologetically patriotic for a country that we do not belong to. 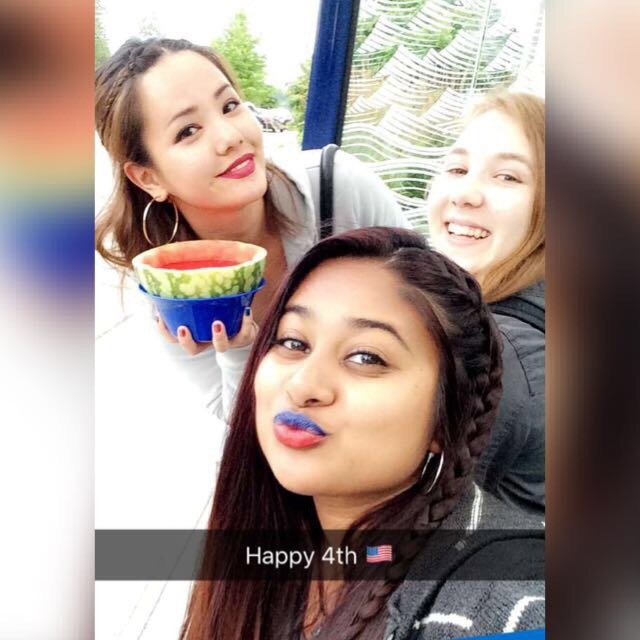 Our lips and nails had been colored in red and blue, we drank out of blue cups and ate red Jell-O. We wore shirts with American flags on them and joined thousands of Americans to watch the fireworks light up the sky. I stood in the middle of thousands of people trying to watch the fireworks show and as a little helicopter flew around carrying an American flag, I heard everyone yell at the top of their lungs, and in unison, they began belting out their national anthem. Each word drifting out of their mouths accompanied by an unlimited amount of pride, each verse is sung with gratitude to the many men and women who were brave enough to defend that flag, and everything it stands for. I’ve had the opportunity to find myself whilst getting lost in crowds of people that rolled their tongues differently than I did. They call America the land of the free, and that’s is her gift to me, freedom.